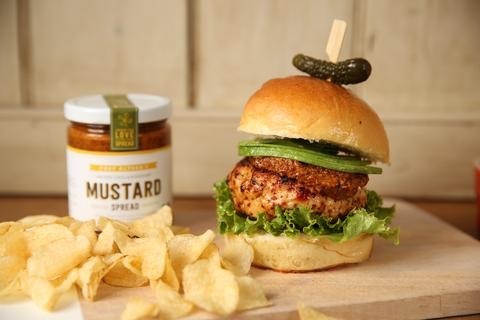 To make 4 burgers, mix 3 Tablespoons of Smoked Chili and Rosemary Mustard with 1 pound of ground turkey. Grill until done and serve with additional mustard spread. Swiss cheese is a great option as an additional topper!